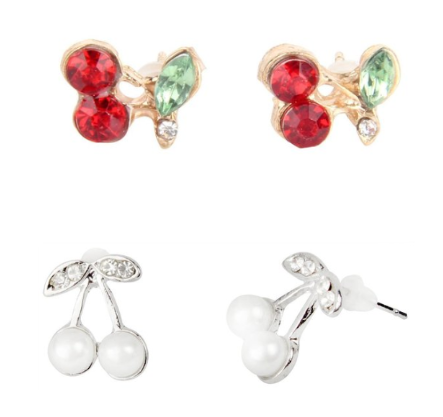 Cute Cherry Rhinestone Earrings Only $2.59 + FREE Shipping! You are here: Home / Great Deals / Amazon Deals / Cute Cherry Rhinestone Earrings Only $2.59 + FREE Shipping! How cute are these!! Right now you can snag these Cute Cherry Rhinestone Earrings for ONLY $2.59 + FREE Shipping! At this price you can grab both pair!